With the spirit of close leadership of the government and the active participation of all local strata, Hung Yen province is carrying out various solutions and activities to accelerate administrative reform, enhance competitiveness, and gradually build dynamic and constructive government. 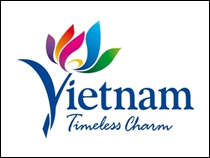 Mr Trinh Van Dien, Director of the Hung Yen Department of Planning and Investment, talked with Vietnam Business Forum on this matter. Ngo Khuyen reports. How do you assess the current investment attraction results of the province? 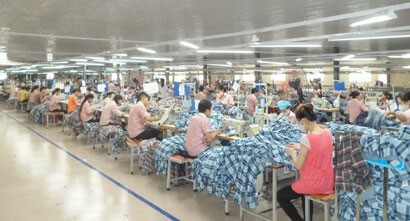 By synchronously carrying out consistent investment attraction and business development support policies, especially promoting public administration reform and building a favourable investment environment, investment attraction results in the first half of the 2016 -2020 period of Hung Yen province were positive. The province licensed 558 fresh projects, including 457 domestic direct investment (DDI) projects with a combined registered capital of VND33,967 billion (US$1.5 billion) and 101 foreign direct investment (FDI) projects with US$827.25 million from 2016 to June 30, 2018. 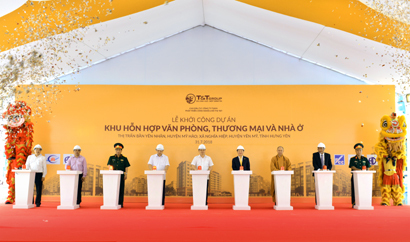 Hung Yen had 1,806 direct investment projects, including 1,382 DDI projects with VND120,534 billion (US$5.2 billion) of investment capital and 424 FDI projects with US$4.088 billion as of June 30, totalling US$9.2 billion, equal to 92 per cent of the province's target of over US$10 billion set for the 2016 - 2020 period. 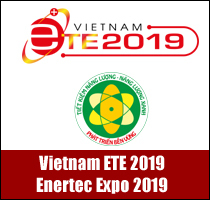 Schedule-ensured projects and their effective business operations have positively contributed to local budget balance and promoted socioeconomic development to rapidly make Hung Yen an industrial province. Could you please reveal the province’s remarkable orientations in investment attraction in the 2018 - 2020 period and beyond? - Mobilising all resources for production capacity development, building socioeconomic and urban infrastructure construction, especially key communication infrastructure, as a prerequisite for drawing investors; concentrating on attracting investment, developing hi-tech industries, joining in value-added and environment-friendly value chains. 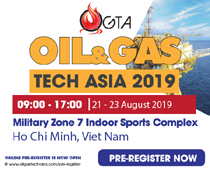 - Speeding up industrial zone infrastructure investment; restricting scattered projects outside industrial zones; resolutely rejecting projects of low social and economic effect, technological backwardness and with potential environmental risks. 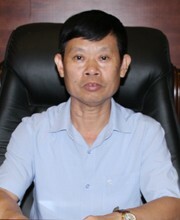 How do you assess local public administration reform in the investment field in recent years, especially after two years of enforcing administrative reform project to create a favourable environment to raise Hung Yen’s PCI in 2016 - 2020 (according to Decision 2382/QD-UBND dated October 28, 2016 of the Provincial People’s Committee)? 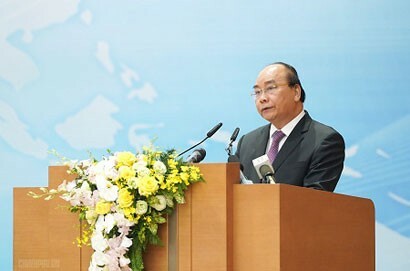 To carry out guidelines of the central government and directions of the Provincial People’s Committee on accelerating the investment environment improvement and PCI enhancement, the Department of Planning and Investment has led and coordinated with provincial departments and district-level People’s Committees to advise on the report on Hung Yen Provincial Competitiveness Index (PCI) in 2017; preliminary review report on implementation of the Public Administration Reform Project to create a favourable investment environment and improve the PCI in the 2016 - 2020 period, thus assessing shortcomings and solutions for a better investment climate in the coming time. The department also consulted Plan 71/KH-UBND dated June 14, 2018 on raising PCI in 2018 and Plan 82/KH-UBND dated July 9 on implementation of Resolution 19-2018/NQ-CP dated May 15, 2018 of the Government on continued carrying out of major tasks and solutions for a better business and investment environment and enhance national competitiveness in 2018. Thanks to firm direction of provincial leaders and active participation of local authorities, after nearly two years of implementing the Public Administration Reform Project to create an enabling environment to raise the PCI Index, the investment environment has made significant progress: More new projects and enterprises were established in 2016 - 2017 than the previous years. The time required for settling investment, business, land, environment, tax and construction procedures is reduced by 30 - 60 per cent from the regulatory timeframe. Public administration reform has been further accelerated, helping its PAR Index 2017 to climb to 29th position out of 63 provinces and cities. While building a streamlined and efficient apparatus, improving the quality and ethics of public servants, especially those working directly with enterprises, agencies have already applied the single-window mechanism and electronic administrative services to reduce administrative procedures, shorten the time needed for solving the paperwork filed by organisations and individuals. Inspection and examination works have been intensified and rationalised to clear overlaps and troubles for enterprises. Infrastructure conditions, especially transport infrastructure, land and premises, social security and order, and asset security are more open, thus facilitating enterprises to grow production and business. However, there are certain some limitations, for example, the ineffective, time-consuming coordination among relevant bodies; unsynchronised information technology infrastructure that troubled organisations and individuals from accessing information; low-quality vocational training, untimely adjustments and supplements to planning and land-use planning; imperfect industrial zone infrastructure. Business and industry associations do not have strong roles in building and shaping an enabling business and investment environment. Some enterprises are not serious with carrying out their projects. On June 14, 2018, the Provincial People's Committee issued Plan 71/KH-UBND on upgrading the province's PCI Index in 2018. How do you assess the promulgation and implementation of Plan 71/KH-UBND, especially for improving the current investment and business environment in Hung Yen? In the 2016 - 2020 period, Hung Yen set 15 main socioeconomic development targets, including the annual GRDP growth of 7.5-8 per cent. By 2020, the economic structure will be made up by 55 per cent of industry and construction, 37 per cent of service and 8 per cent of agriculture, forestry and fishery. 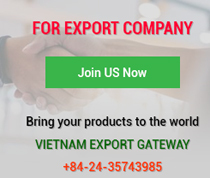 Also in 2020, other targets comprise of the GRDP per capita of VND75 million; State budget revenue of VND13 trillion, export turnover of US$5 billion; and total investment capital of over US$10 billion. - Investing in infrastructure construction, especially important roads, to facilitate investors to carry out projects, trade their products, and exchange with regional economic centres. 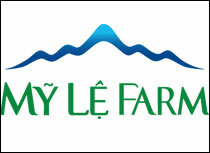 - Improving the business and investment environment, thus contributing to raising competitiveness. - Reviewing, amending and replacing administrative procedures and publicising information about administrative procedures relating to the business establishment and investment certification on popular information channels; reforming administrative procedures towards enhancing simplicity and effectiveness. - Speeding up information technology application to carry out administrative procedures relating to investment and business. - Reviewing industrial zones to match investors’ capacity and local industrial park development orientation. The province will focus on developing industrial zones in favourable locations to easily mobilise all economic sectors to invest in industrial zone infrastructure and attract investment projects into industrial zones, and will further engage, attract and select infrastructure investors with strong financial capacity and advanced, effective management methods. - Attracting large-scale FDI projects with modern and advanced technologies that generate high added value, especially hi-tech projects, which will spur socioeconomic ripple effects.